My local club is a traditional target archery club where arrows are shot at big white, black, blue, red and gold target faces. 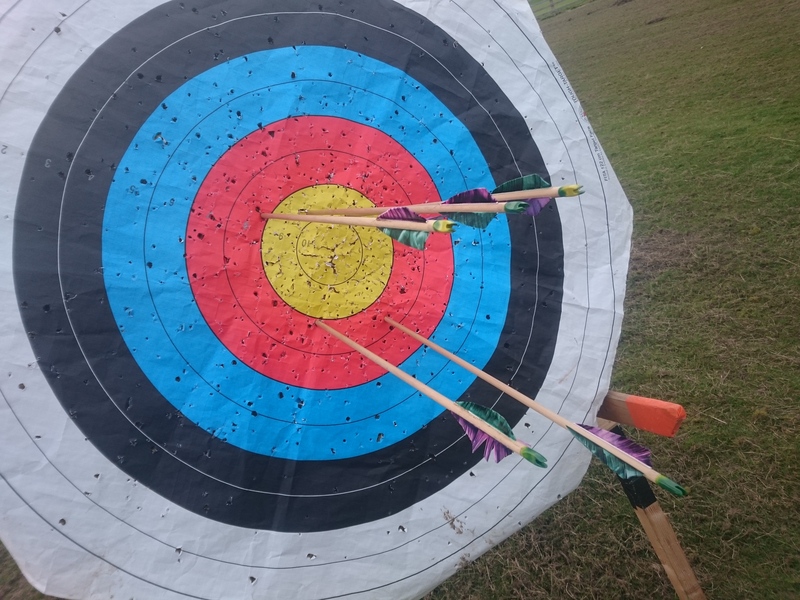 If I’m honest the colourful target faces really put me off and I seem to shoot a lot better with both my Longbow and field bow when I’m aiming at a smaller target. As ‘Grizzly’ Jim Kent often says ‘aim small, miss small’ and he’s defiantly right about that! From my own experience I’ve found that targets that have a lot going on are difficult to shoot at which is an obvious hindrance when you’re shooting at targets resembling a massive rainbow. My attempt at getting around this is to shoot at the black and white Worcester faces or the smaller but still colourful Bray targets. Again both are smaller targets and my groupings tend to be tighter but not as tight as what I’d like. 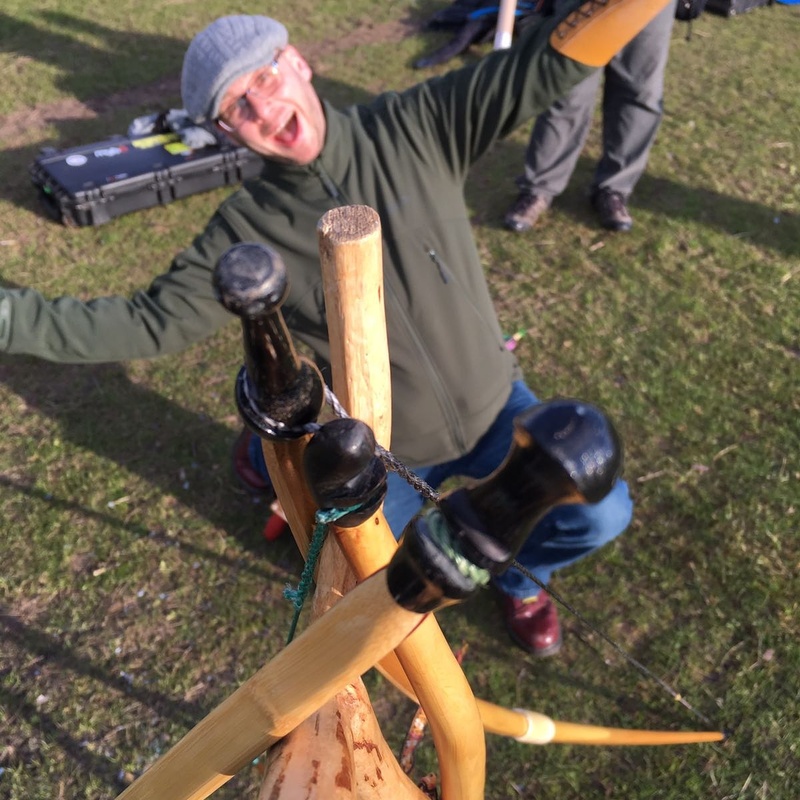 This changed the other night when one of my longbow shooting buddies rocked up at the club with two stuffed teddy bears and promptly whizzed them down the shooting line. To the scorn of the Olympic recurve archers the three longbow archers abandoned shooting at the massive rainbow targets and instead spent the evening raining arrows of death down at our would be cuddly attackers. In short it was a lot of fun as you can see from my happy little face below. Although shooting toys was a lot of fun I did notice that my grouping were really close and when I did miss it wasn’t by much. 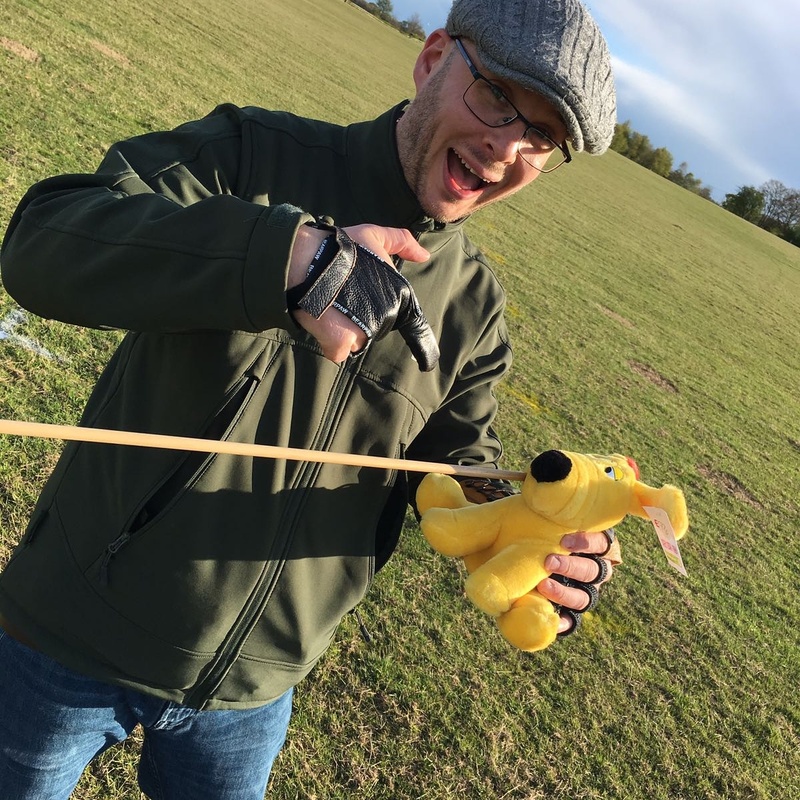 Another thing that I noticed was that as I shooting at the teddy at ground level I was unconsciously canting my bow and leaning slightly into the shot which I don’t normally do. It was only after I’d shot and was analysing my shoot sequence that I realised that I was doing this. This position seemed more natural when I was shooting at a teddy on the ground at 30yards away then it does when I’m shooting at a boss face at the same distance. After a shoot I always try and take a little lesson away from it. I may not have shot great or improved, but if I can point at something and get insight from it then its been a worthwhile shoot. So my main take-a-way from the [teddy] bear hunt is that if you’re frustrated with your archery because you’re not ‘getting’ something then stop flogging the dead horse and do something fun; it may be shooting at softoys – or even doing a real 3D shoot – it may even be shooting some clout. Either way have some fun, smile, relax and maybe the block you’ve had will go away and if it doesn’t you will have at least had some fun.